We will pay you best price for your used Alcatel phone system. You can subsidise the cost of any new purchases by selling your old kit!! Just contact us today to sell used Alcatel phone systems in good working condition. You can fill the contact form provided below, or you can leave us your telephone number and we will call you back. We pay for freight. 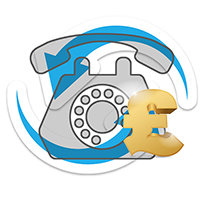 We buy redundant Telecoms kit; telephone systems, telephone handsets. Here is the list of Alcatel System Units that we buy, and all handsets that go with them.